Windy weather and low temperatures did not deter a large crowd from attending round six of this year’s Extreme Festival at the Zwartkops Raceway on Saturday. The Sasol Race Day entertained them fully, with close racing, huge spectacle and unexpected winners in some of the racing disciplines. 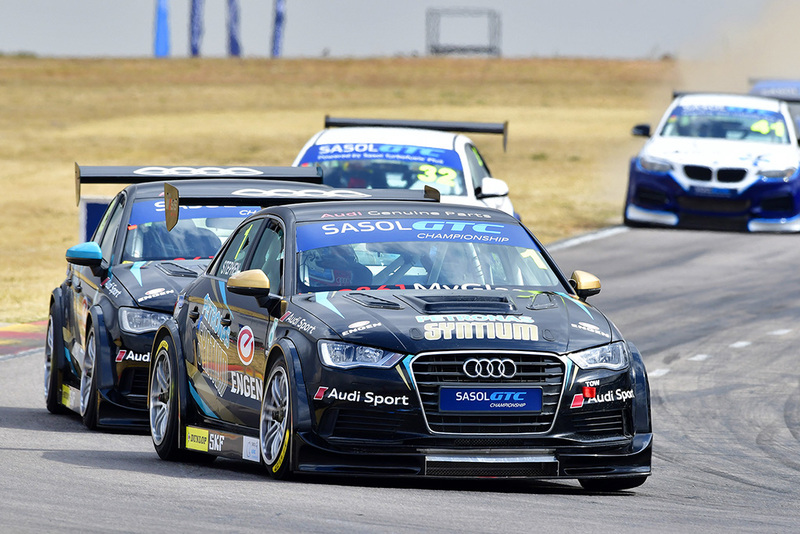 Topping the day’s programme were two races for Sasol Global Touring Cars. 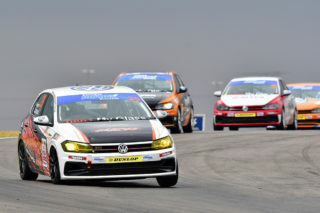 Starting from pole position, Michael Stephen (Engen Audi) led the first race from start to finish, leading home Gennaro Bonafede (Sasol BMW), Simon Moss (Engen Audi), Michael van Rooyen (RCS BMW), Daniel Rowe (VW Motorsport Jetta) and Johan Fourie (EPS Courier BMW). 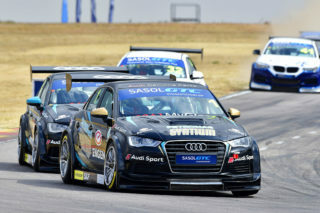 Race two saw Van Rooyen go farming, while the cars of Rowe and Johan Fourie collided while they were fighting for the lead. That left Bonafede to win in his Sasol BMW, to the delight of the event sponsors. He was chased to the end by Stephen, Moss, a recovered Fourie, Robert Wolk (Sasol BMW) and a recovered Rowe. 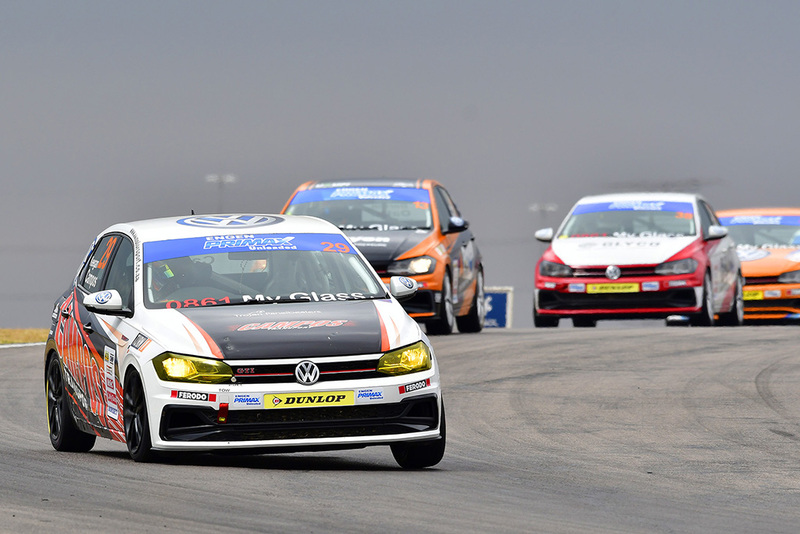 Keagan Masters (VW Motorsport Golf GTI) won the first GTC2 race, comfortably ahead of Adrian Wood (Kyocera Golf GTI), Devin Robertson (Champion Mini JCW) Charl Smalberger (Sabertek Golf GTI), Bradley Liebenberg (Ferodo Mini JCW) and Trevor Bland (Universal Health Golf GTI). Masters repeated his GTC2 victory the second time out, ahead of Liebenberg, Robertson, Wood, Bland and Smalberger. Charl Arangies took his Stradale Aston Martin Vantage to the first G&H Transport Extreme Supercar victory, chased by Dawie Olivier (G&H Transport BMW M3 Turbo), Tato Carello (Daytona McLaren 650GT), Mark du Toit (TAR Ferrari F430), Jonathan du Toit (Ferrari F430) and Deon du Plessis (BPT KTM). 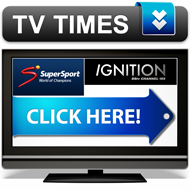 Olivier did not start race two, while Jonathan du Toit’s car suffered an inoperative ABS system. That left Arangies to win again, ahead of Carello, Mark du Toit, Ricky Giannocarro (G&H Transport Lamborghini Gallardo), Gianni Giannocarro (G&H Transport BMW M3 Turbo) and Du Plessis. The opening Engen Polo Cup race went to Justin Oates (URUP Polo), closely shadowed by Keegan Campos (Campos Transport Polo) and Darren Oates (Payen Polo). Keegan Campos won the next time, with Mogotsi and Darren Oates filling out the podium places. Scott Temple (Road to Race Mygale) took both the Investchem Formula 1600 victories from Stuart White (Fantastic Mygale), with Nicholas van Weely (Magnificent Paints Van Diemen) and Andrew Schofield (Investchem Mygale) taking turns in the third places. Veterans Sven Grune (Kawasaki ZX10R) and Graeme van Breda (Stefanutti ZX10R) fought tooth and nail for the first Red Square Kawasaki Masters race victory. Grune eventually took it, half a second ahead of Van Breda, with Gareth Bezuidenhout (Kawasaki ZX10R) in third place. Grune and Van Breda also took first and second the next time out, this time with Brian Bontekoning (Mayfair ZX10R) in third place. Efstratios Yiannakis (Yamaha R1) took the first Bridgestone Sub 10 Superbike race from Byron Rothquel (Magmagic BMW S100RR) and Harry Timmerman (Supebet BMW). The next race was won by Kyran de Lange (Bavarian Silverton BMW), from Yiannakis and Rothquel. Gert van der Berg (BP Nantes Rhema) won the first Hankook Formula Vee race, a single car length ahead of Jaco Schriks (Bean Child Rhema) and Alan Holm (Office Direct FV). Schriks won the next race from Holm and Van den Berg. The next round of the 2018 Extreme Festival will be held at the Free State Phakisa circuit on Saturday, September 15.